Join Primate Education Network (PEN), Conservation Fusion (CF), and our colleagues for an interactive training workshop at the joint conference of the International Primatological Society (IPS) and American Society of Primatologists! During our training workshop, primate educators and practitioners will learn about behavior change fundamentals, experience creative teaching techniques, and apply this knowledge to design new projects with their peers. Location: Rooms 206-207, Navy Pier, Chicago, IL, U.S.A.
Register for our training workshop. PEN has unique experience in training primate conservation educators and practitioners in multiple countries, including Brazil, Colombia, and Uganda, through collaborative workshops. In 2014, we hosted a symposium, panel, and workshop at the IPS conference in Vietnam. 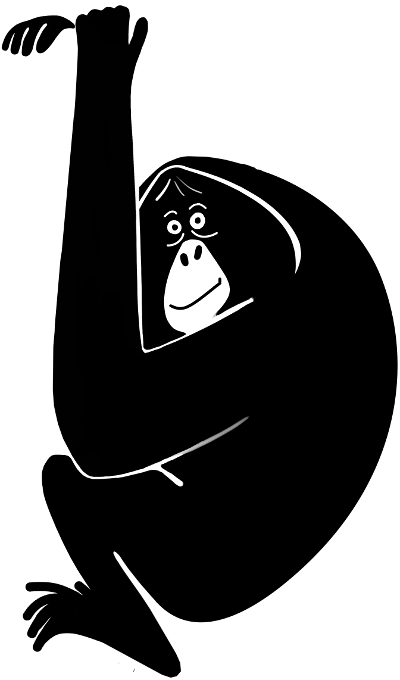 This year, thanks to generous support from Zoo Miami, Blank Park Zoo, and the Omaha AAZK Chapter, PEN is leading a training workshop on applying creativity and behavior change frameworks in primate education program design. 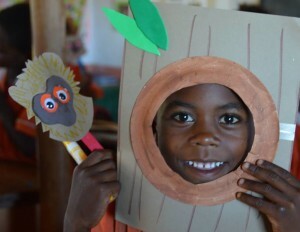 We are partnering with CF, an organization known for their leadership in applying creativity through primate conservation education efforts in Madagascar. Interested in joining us as a partner or volunteer? An educator’s ultimate definition of success is observing changes in their target audience’s behavior that results in the conservation of primates as flagship species for entire ecosystems. To address this need, our training workshop will focus on the application of creativity and behavior change frameworks in primate education program design. Our workshop will provide a unique opportunity for primate educators and practitioners attending from countries across the globe to learn frameworks in creativity and behavior change and witness how creative education projects are designed and evaluated across different cultures. By providing frameworks, sharing evidence-based methods and successes, and demonstrating the role of creativity, our goal is to empower educators with the training and tools they need to effectively change the attitudes and behaviors of their target audiences. Our training workshop will include Show & Tell, a teaching method for participants to share examples of evidence-based creative techniques to catalyze behavior change, including games and activities, in primate conservation education as brief case studies from three regions of the world. Workshop participants will be grouped geographically into teams and provided with templates, materials, and art supplies to design customized, educational, and engaging creative projects that can be implemented and tested in the field. After participants present their new and creative project solutions to the audience, a community pizza lunch hosted by PEN and CF will follow. This lunch will provide participants with an opportunity to chat informally with the organizers and with each other in the context of primate conservation education. As a special reward for our participants’ hard work, PEN and CF (with support from Conservation International) will give away raffle prizes during the lunch. Post-workshop, projects will report back on the application of their creative projects and methods of evaluation in the field. Their results will also be shared with PEN’s global community, so other educators and practitioners can learn and benefit from their experience. Please complete our questionnaire to register. Your spot will not be confirmed until we receive your responses.